Waterproof, flexible, stretchable, and self-adhesive with gentle stretch to 200% its original length. Excellent moisture barrier for grafting and budding. This grafting tape is made from bio-degradable polyethylene and breaks down in sunlight. its stretchable with high tensile strength, which mean you can leave it on your tree without removing it, will not harm your tree. It is also self-adhesive, providing air tight seal, preventing bacteria or any other disease from getting into grafting area. 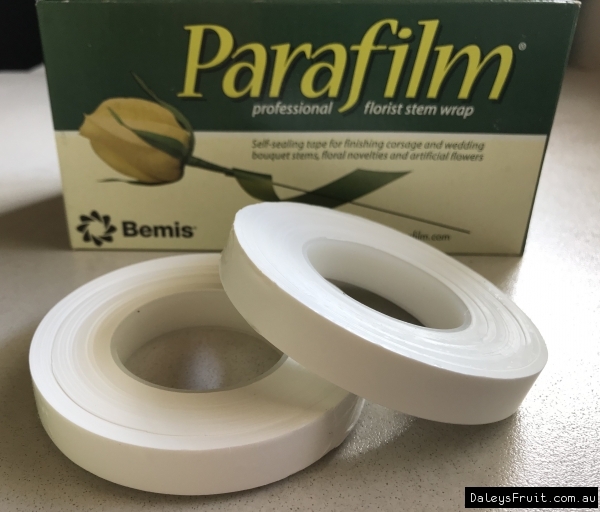 You will have enough tape to graft 100-200 grafts per roll.